A high quality transmitter, upto 16 channels. Episode 28: 2013 Taranis bugs and adjustments. Under Customer Switches, you can reduce or remove the DELAYs 0.5 if you find your modes are always returning to stabilized mode before changing to the next one. 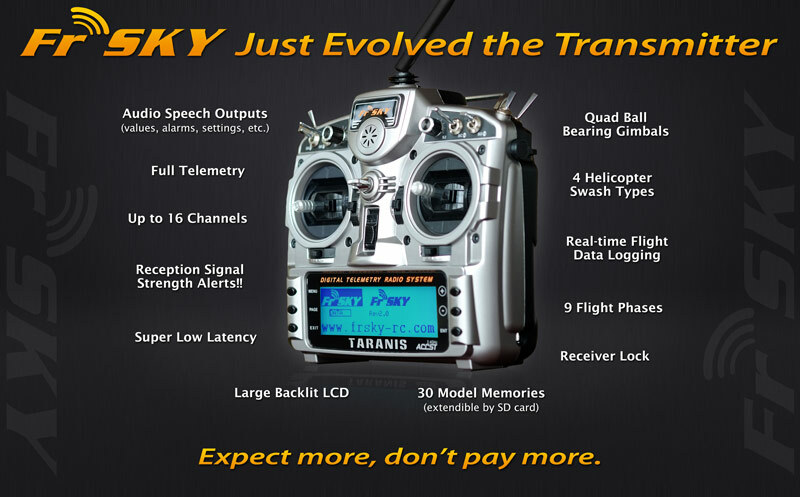 Compatibility: FrSky X-series Module (XJT) etc in LR12 mode (Switch 1 is OFF, Switch 2 is ON) FrSky Taranis X9D in LR12 mode. 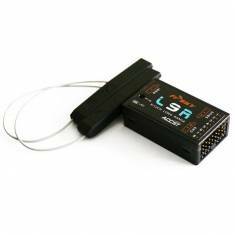 L9R receiver does not work with FrSky V8, D8, and D16 Mode. Review of FPV: First-person view (FPV), also known as remote-person view (RPV), or simply video piloting, is a method used to fly a radio controlled model vehicle from the driver or pilot's view point. Most commonly it is used to pilot an unmanned aerial vehicle (UAV) or a radio-controlled aircraft. The vehicle is either driven or piloted remotely from a first person perspective via an onboard camera, fed wirelessly to virtual reality goggles or a video monitor. More sophisticated setups include a pan-and-tilt gimbaled camera controlled by a gyroscope sensor in the pilot's goggles and with dual onboard cameras, enabling a true stereoscopic view. 2012 © Copyright Drone Mission.